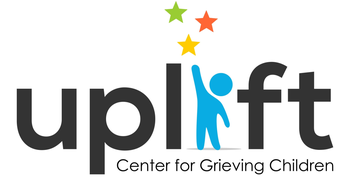 Uplift Center for Grieving Children helps Philadelphia children grieving a death to heal and grow through their grief, while strengthening families, communities, and professionals’ understanding of how best to respond to their needs. Please fill out the form below and we will get back with you as soon as possible. Looking to email a staff member directly? Visit our staff page for individual contact information. By submitting your photo(s) (the "Content"), you hereby grant to The Center for Grieving Children, its affiliates, subsidiaries, assigns, licensees, and legal representatives the right to use, reproduce, edit, market, store, distribute, have distributed, publicly and privately display, communicate, publicly and privately perform, transmit, have transmitted, create derivative works based upon, and promote the Content (as such may be edited and modified by The Center for Grieving Children at its discretion) through the The Center for Grieving Children Web site and through such other publishing or distribution channels as The Center for Grieving Children may designate in any medium now known or hereafter devised, for editorial, commercial, promotional, advertising and all other purposes. We can be reached at (267) 437-3123 during normal business hours. If you’d like to reach us outside of normal hours, please use the form to email us. Our fax is (267) 437-3206.